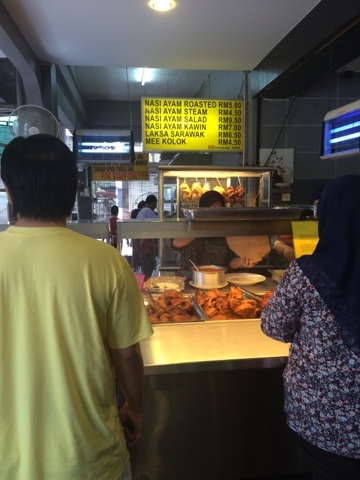 Wherever you are in Malaysia, food is a big thing and breakfast is no exception. When you are in Sarawak, locals will tell you to try out the local delicacies namely mee kolok and laksa Sarawak. 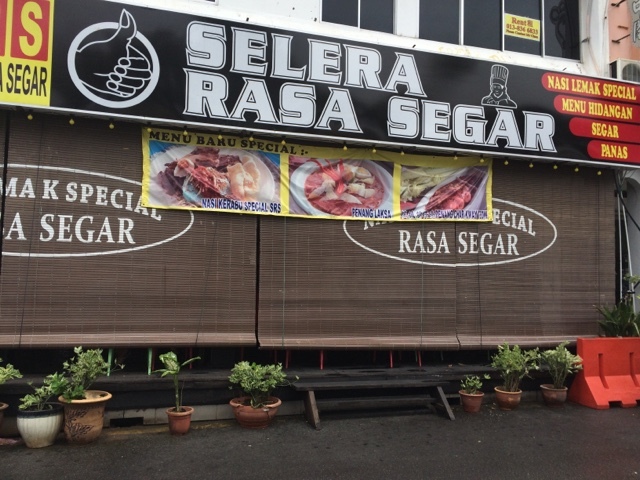 However if you are a local yourself or just tired of having the same menu for breakfast, then head over to Selera Rasa Segar (or SRS in short) in Miri. 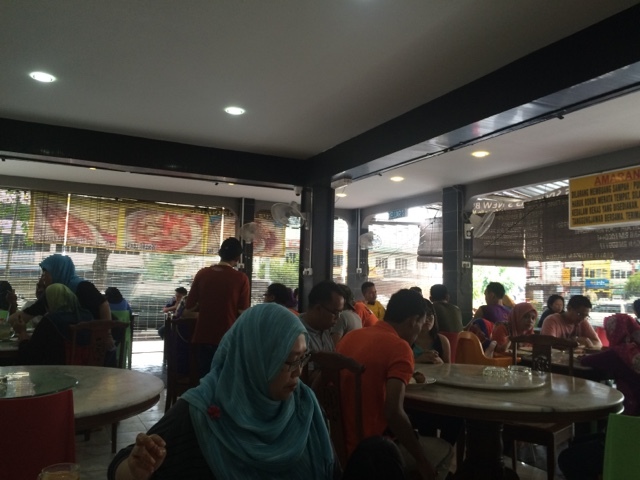 SRS stands out amongst other eateries simply because the main menu for breakfast is not mee kolok or laksa Sarawak. Instead, they serve nasi lemak with plenty of side dishes to satisfy your cravings. The restaurant itself is set in a rustic setting, with wooden floor and round table, very much like any kopitiam. Stepping inside, the first thing I noticed is the queue of people waiting to be served by one very busy young man, dolloping bowls of steaming hot nasi lemak and attending to orders. 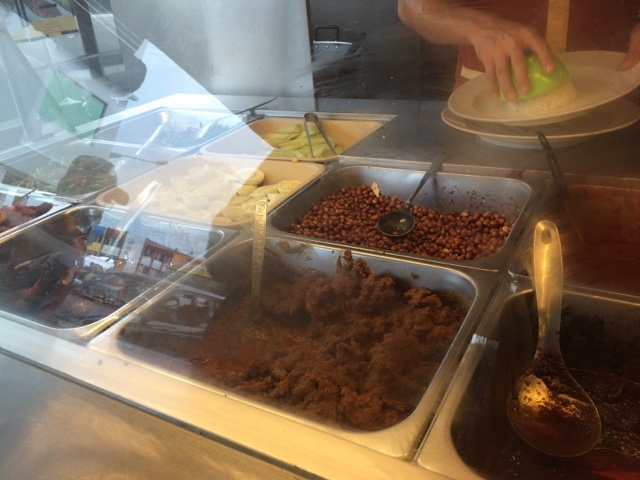 Basically, the standard menu is the rice in coconut milk (nasi lemak), two slices of cucumber, a spoonful of fried peanuts, one half of hard-boiled egg and a dash of sambal bilis (anchovies). The extra things, you need to tell the man which dish you want to add on. I decided to just have whole egg of fried chicken added to my nasi lemak. 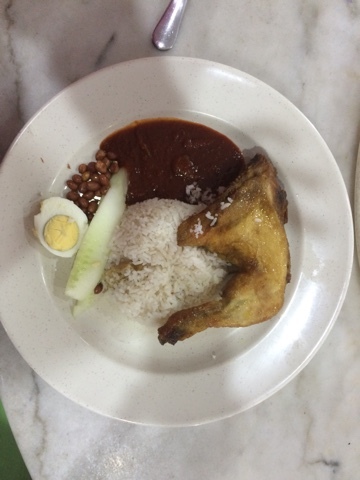 Don't be fooled by the pitiful look of the dish below, the chicken is flavourful and the nasi lemak is delicious. My only fault is in the sambal because it doesn't have a lot of anchovies in it and just tasted of blended dried chillies or what we call 'cili boh'. What a disappointment! If you happen to go in a group but don't feel like having nasi lemak, you can also order nasi kerabu, laksa penang, nasi ayam (chicken rice) and oh yes, the usual laksa Sarawak and mee kolok. They do carry that in their menu. 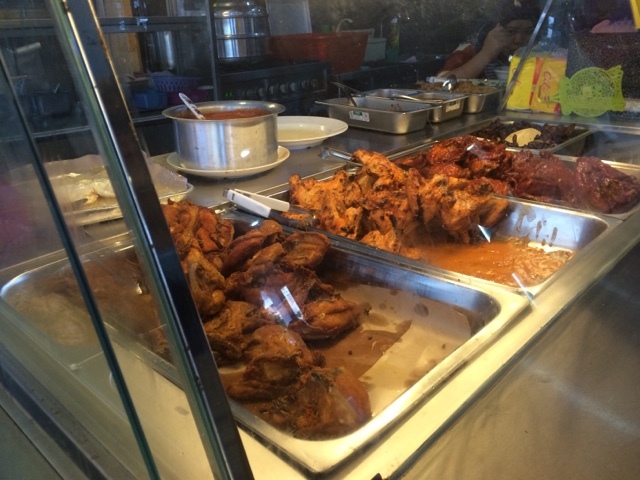 So if you want to try out the nasi lemak at SRS, head over to Jalan Permaisuri where their outlet is located. It's definitely worth a try when you want a break from the usual.